Jarvis Heat & Air, LLC provides state-of-the-art temperature control in Gainesville, FL and surrounding areas through VRF technology. Variant Refrigerant Flow systems are known for exceptional energy efficiency and quick return on the investment. Customizable to meet the needs of a single-family residence or commercial facility, VRF systems utilize multiple indoor units to create independent comfort zones and offer simultaneous heating and cooling. You can heat, cool, and personalize temperature room by room, while trimming monthly costs. Unlike many conventional heating/cooling units, VRF systems are wonderfully compact, providing a perfect solution when space is limited, and operate quietly, reducing ambient noise both inside and outside of the home. Give Jarvis Heat & Air, LLC a call at 352-316-4573 to hear more about the many benefits of a VRF system. 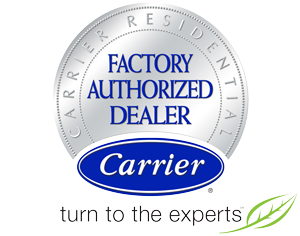 Installation and service should only be performed by factory trained and certified professionals. The team from Jarvis Heat & Air, LLC handles design, installation, upgrades, seasonal maintenance, and repair of all makes and models. Family owned and operated, we remain on call for emergency assistance at anytime, 24/7, throughout Gainesville, FL.